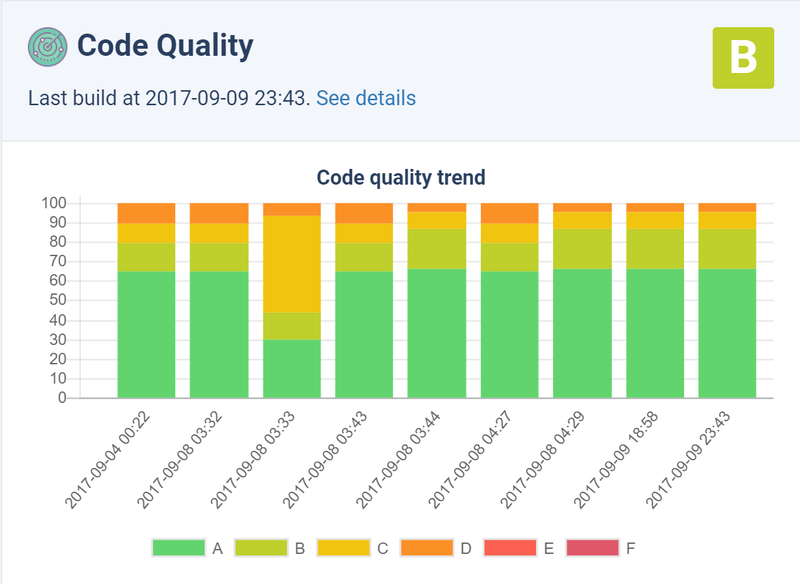 Track code quality progress over time with a relevant metrics. 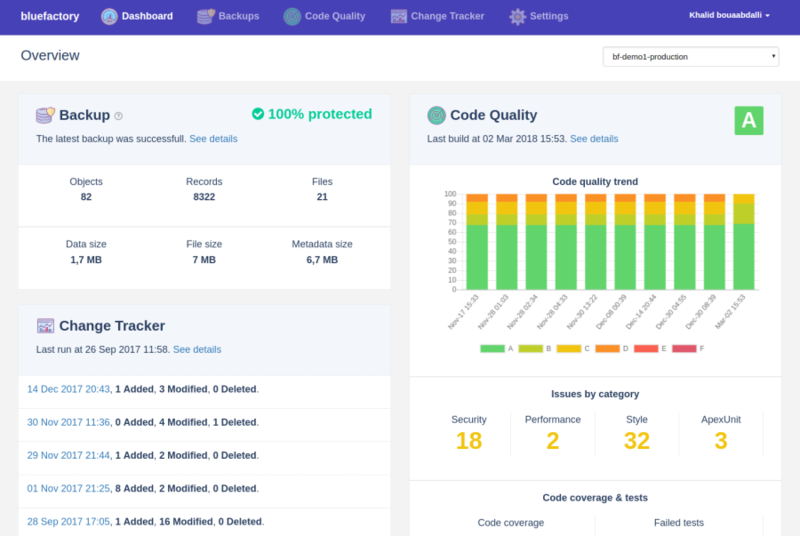 Get automated code review for test coverage, complexity, duplication, style, and more. Build high quality application that respects code best practices. Simple and secure daily backup to protect your Salesforce data against loss. You can choose where to save your backup. We offer multiple locations. Keep a complete history of metadata changes. Avoid overwrite changes between developers. Track every metadata changes with our readable human-friendly report. Bluefactory is perfect for Salesforce Developers, Administrators & Project Managers. Bluefactory replaces manual and time-consuming tasks by automation. Bluefactory reduces your time-to-market and brings more value to your end users. Keeping your data secure is the core of our business. Bluefactory backups encrypt all your data. For every backup created. All data transmissions with third-party APIs (e.g. Salesforce) occur over a 256-bit encrypted channel (TLS). All data at rest is stored in Amazon S3, which includes all your backups archives, is encrypted using a randomly generated AES-256 bit key unique to each user. We use secure protocols (SSH and HTTPS) for all access points. All access to the Bluefactory website is restricted to HTTPS encrypted connections. Bluefactory never collects or stores your salesforce passwords. The authentication is done via OAuth2. All authenticated user interaction (login, service configuration, settings changes, accessing archived data) occurs over a 256-bit encrypted channel (SSL). None of our team members can clone or see your code or your data in its entirety. For debugging purposes, we use the platform to see dashboard and issues breakdown, but never your code or your data. You feeling safe about your code is of crucial importance to us. Boost your Salesforce in under 3 minutes - No credit card required.